Governance, Risk Management and Compliance (GRC) are three disciplines that work together for the purpose of assuring that an organisation meets its stated goals. 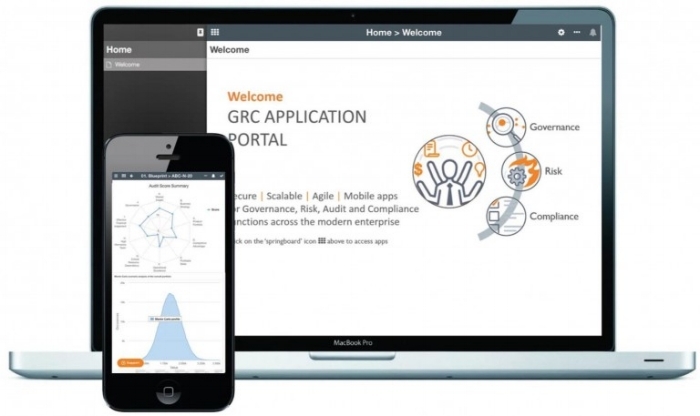 Our GRC solution suite covers all areas needed to ensure full visibility over functions across the modern enterprise. To enable routine audits against compliance and best practice checklists. These apps can be based on industry standards (such as ITIL and Sarbanes-Oxley) or client specific audits (such as a Supplier Assessment). Red and Amber indicators are then linked to improvement initiatives and tracked via the Project Management Office (PMO). Support the effective governance of the business or team. These include the ability to capture, prioritise, and track RAID items: Risks, Actions to resolve issues, Insights or lessons learned, and key business Decisions. This provides a single place for capturing the outputs of key meetings and for reviewing all aspects of business performance. Enable teams to plan, track and report on Performance Review Meetings. These will range from local team or project reviews to the Senior Management Team (SMT) reviews and Annual Business Planning (ABP). Allow the effective management of strategic, operational and programme risks. The process varies depending on the level of complexity (ranging from simple Probability x Impact rating to a full Monte Carlo simulation) and the client preferred method. The resulting Risk register feed the regular (weekly / monthly) Risk Review Boards.